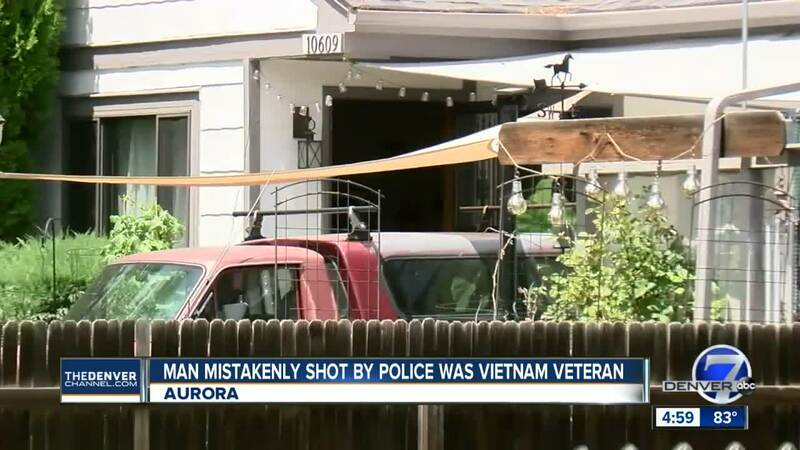 AURORA, Colo. — The man who was fatally shot by police after he allegedly shot a man breaking into his home has been identified by a family attorney as a veteran of the Vietnam War. 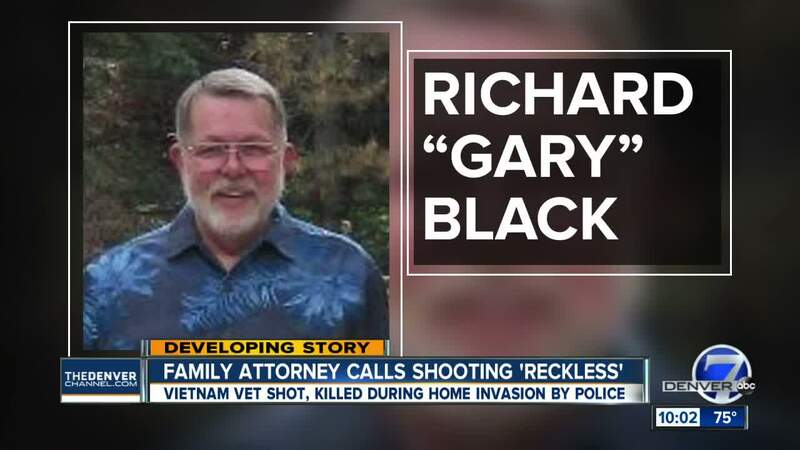 Attorney Siddhartha Rathod said Richard "Gary" Black Jr. was shot and killed by Aurora police early Monday. Black was a former federal agent and a Purple Heart recipient, Rathod said. Around 1:30 a.m. Monday, Aurora police responded to a report that a man had broken into a home near E. Montview Boulevard and Iola Street. Aurora Police Chief Nick Metz said in a news release Monday that arriving officers heard gunshots and ran into Black, who lived in the home and was armed. An officer shot him and he died at a local hospital. Officers found a juvenile injured inside the home and a man shot dead on the floor of a bathroom. The child was taken to the hospital for serious, but not life-threatening injuries that were caused by the intruder, Aurora police said in Monday's release. Metz said Monday that Black, who was a resident of the home, is believed to have fatally shot the man who broke into the home. Rathod said that the man who broke into the home was naked and attacked Black’s 11-year-old grandson by trying to drown the boy in a bathtub. Rathod said Black fought the man off and eventually killed him. Rathod said the grandson has since been released from the hospital. In a newspaper clipping Rathod says the family provided, Black is seen being congratulated for earing the Bronze Star, Army Commendation medal and a Purple heart. The article says Black received the medals for outstanding service while serving in Vietnam with the 1st Infantry Division. Rathod said police fired from outside the home while Black was still inside the home. The officer who shot Black is on paid administrative leave, as is standard. Aurora police said in a news release issued Tuesday evening that Chief Metz would be holding a press conference along with the district attorney's office on Thursday to further discuss the case. "This incident was not only tragic, but incredibly heartbreaking for the involved family, the community, and our Department," the release read, in part. "This makes it even more difficult in not being able to provide information at this time as we are committed to being transparent and sharing information as soon as possible after a critical incident." Click here to read the full release, which is also embedded below. Police ask that anyone who witnessed the shooting to call Det. Randy Hansen at 303-739-6710.